Recently, I noticed a friend eating her way through San Francisco’s best dishes. And I thought, the South Bay needs a list! So here’s my contribution of the best 25 foods to eat before you die in the South Bay Area. 49er Flapjacks at Original Pancake House in Los Altos, CA. 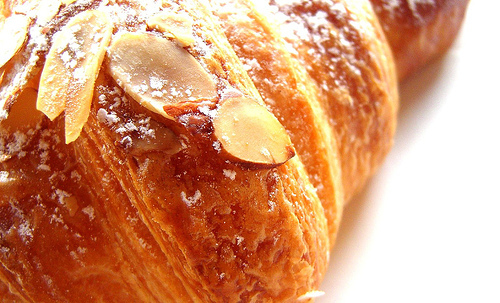 Almond Croissant at Mayfield Bakery in Palo Alto, CA. Authentic Chicago Stuffed Pizza with honey drizzle at Patxi’s Pizza in Palo Alto, CA. Chinese Chicken Salad at Chef Chu’s in Los Altos, CA. Creamy Drinking Chocolate at Monique’s Chocolates in Palo Alto, CA. 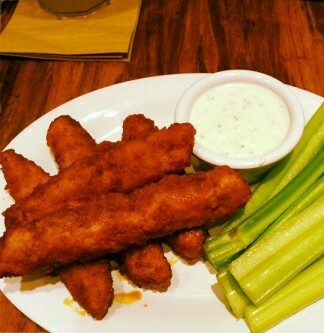 Crispy Chickin’ Buffalo Wings at Veggie Grill in San Jose, CA. Coconut Shrimp Taco with passionfruit jalapeno sauce at Milagros in RWC, CA. Croque Monsieur at Left Bank in Menlo Park, CA. Dark Coconut Mocha at Chromatic Coffee in Santa Clara, CA. Eggplant Parmigiana with bechamel and balsamic syrup at Tarragon in Sunnyvale, CA. 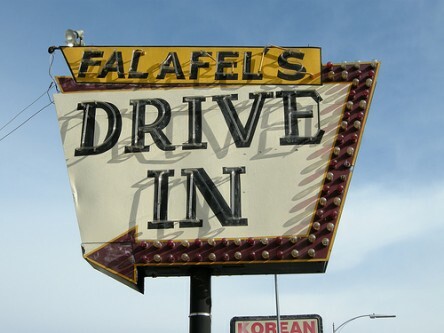 Falafel Sandwich with tahini & hot sauce at Falafel’s Drive In in San Jose, CA. Garlic Fries at Falafel Bite in Santa Clara, CA. Grilled Cheese & a Chocolate Shake at Peninsula Creamery in Palo Alto, CA. Grilled Fish Tacos at Sancho’s Taqueria in Palo Alto, CA. Industrial Chocolate Ice Cream at Rick’s Ice Cream in Palo Alto, CA. Langos Hungarian Garlic Bread at Applewood Pizza in Menlo Park, CA. Platanos Fritos with refried beans and cream at Ay Caramba it’s La Bamba in Mountain View, CA. Santa Maria Tri Tip Sandwich at John’s Café in Palo Alto, CA. Scallion Pancakes at Garden Fresh in Mountain View, CA. Schweinshaxe roasted pork shank at Hardy’s Bavaria in Sunnyvale, CA. Spanish Tapa Sampler at Cascal in Mountain View, CA. Spicy Beef Noodle Soup at iDumpling in RWC, CA. Tej organic honey wine at Zeni Ethiopian in San Jose, CA. Wild Alaskan Halibut Fish and Chips at Cook’s Seafood in Menlo Park, CA. So, there you have it. The 25 foods to eat before you die. These are my personal favorites. If you have a meal to share – let me know and I’ll update the list!